Wonder What Vacant Property the City Owns? Well, wonder no more. This is another piece of fantastic work by PlanPhillly and Patrick Kerkstra. At last, the city’s enormous inventory of mostly vacant surplus land is being made available online for would-be buyers. The Philadelphia Redevelopment Authority’s “Front Door” – essentially a database and map of the city’s property holdings, coupled with a streamlined sales process – has been in the works for over a year and a half. Some of it goes live today, albeit in a limited form, on the PRA’s website. 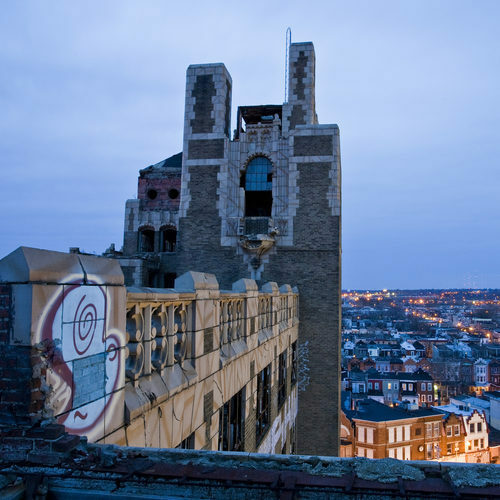 The initiative – which won’t be formally launched until next month – represents the Nutter administration’s most notable achievement to date in Philadelphia’s long-running fight against blight. There are an estimated 40,000 vacant parcels in Philadelphia, empty lots and abandoned buildings that depress property values, mar neighborhoods and pose safety risks. Of those, more than 12,000 are owned by city-related agencies. Before the Front Door, would-be buyers of those city owned lots were forced to navigate a confusing bureaucratic thicket of city land-holding agencies with conflicting policies and agendas, without the benefit of a written rulebook. Now, the Nutter administration contends, developers, non-profits and average residents will be able to easily submit applications to purchase city owned vacant properties through the PRA’s Front Door. And the entire process will be governed by a new policy document (which has been previously reported on by PlanPhilly). “What’s different about this (policy) is that it exists. There are no policy documents that exist right now for the disposition of land certainly none that are consistent, none that are comprehensive,” said Bridget Greenwald, the new commissioner of the city’s Public Property department. Check out the map and more here: City’s “Front Door” cracks open | PlanPhilly: Planning Philadelphia’s Future. This entry was posted in Shell Properties, Tools to Fight Blight, Urban Renewal, Vacant Land by Stephen Arrivello. Bookmark the permalink. …The city is not about to help any one get into a house. I spent almost a year trying to buy a house that was burned out and needed a lot of work. I went to meetings and when it was all done, they were asking $11,000 for a house that the market value was $700. Where can I get this info on the City’s Front Door program?